It feels amazing to be back to blogging! I have truly enjoyed posting more and sharing my home and inspirations with y'all. I am looking forward to sharing more though out November and December. 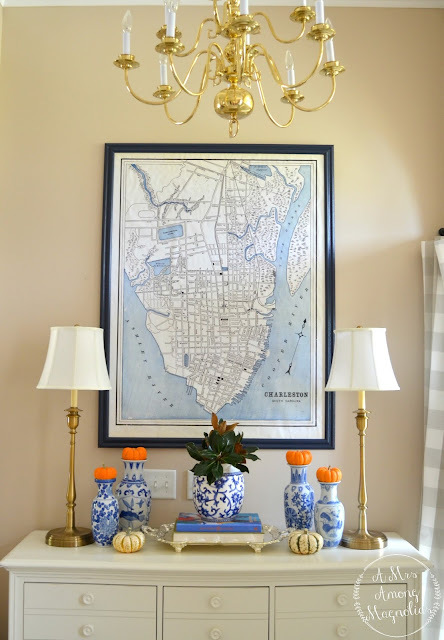 It was such a joy to share our Fall Home Tour, but honestly I am 100% over fall. I am over pumpkins and orange, but not pumpkin flavored goodies! I am ready for reds and greens and all things Christmas!! 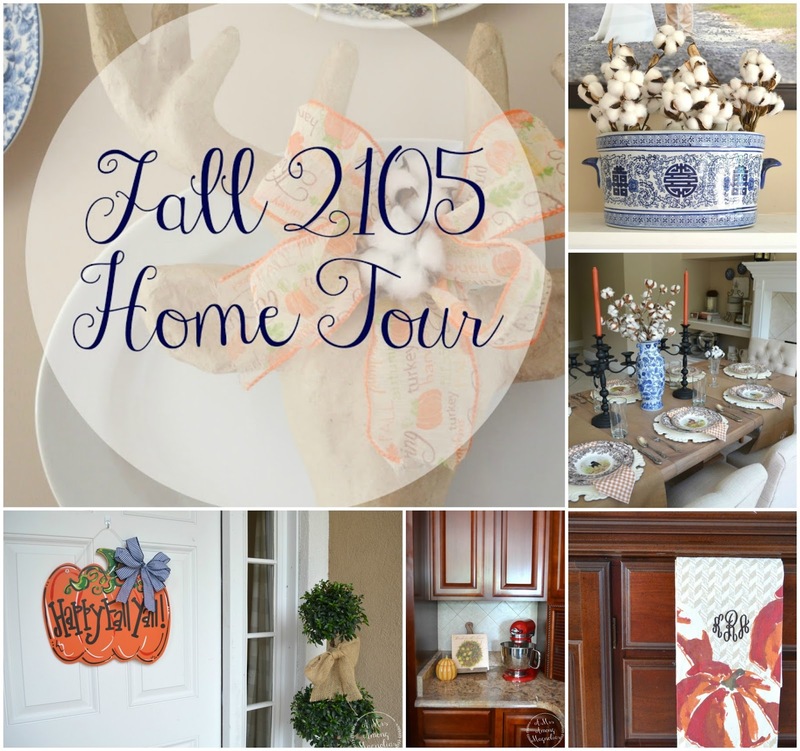 I also shared some great home staples that can be easily transitioned from Fall to Winter. Christmas came early when my parents and hubby gifted me a full set of Spode Woodland. These are my newest addiction! I cannot even tell you how many of these I have already made. Our Magnolia Home will be filled with blue and white handmade ornaments this Christmas! I never knew how much fun it could be to style a bar cart until I got one recently. 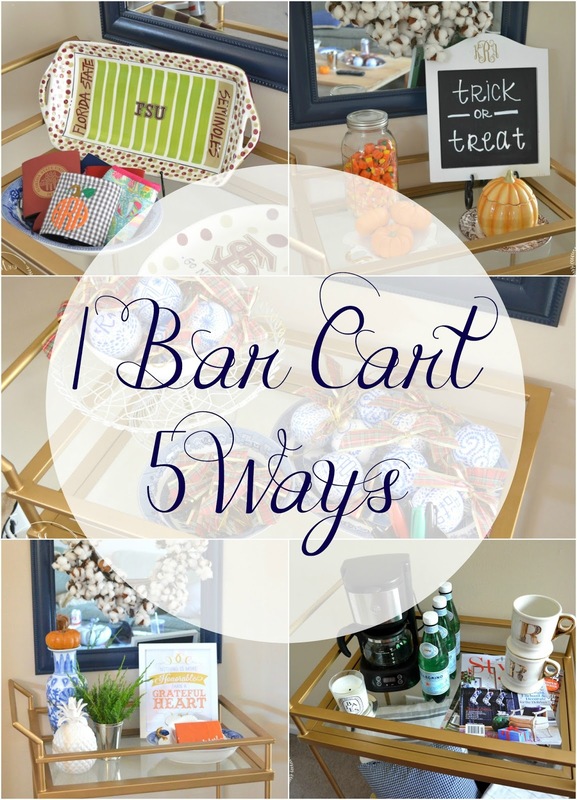 So, I put together 5 ways to style your bar cart for this fall. Behold, the entryway! This map is a whopping 4 feet tall and 3 feet wide. I know that sounds insane, but we have 14ish foot ceilings in the entryway so anything too much smaller would have looked funny. I've had smaller frames on the wall and by having this large one now it makes the entryway feel much larger. Can you say #FabFound?! This has to be one of the best trips to Marshall's that I have ever had. 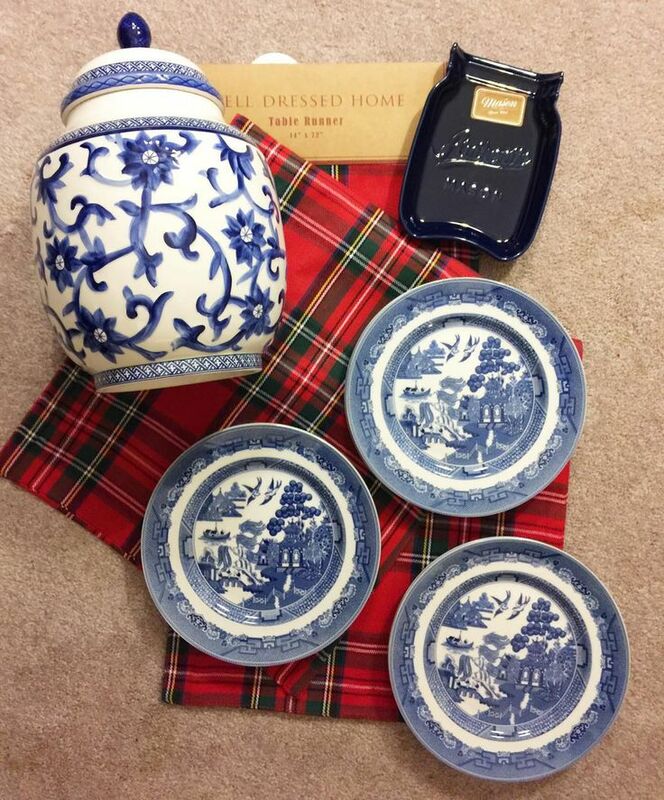 The Blue Willow salad plates were only $2.99!! 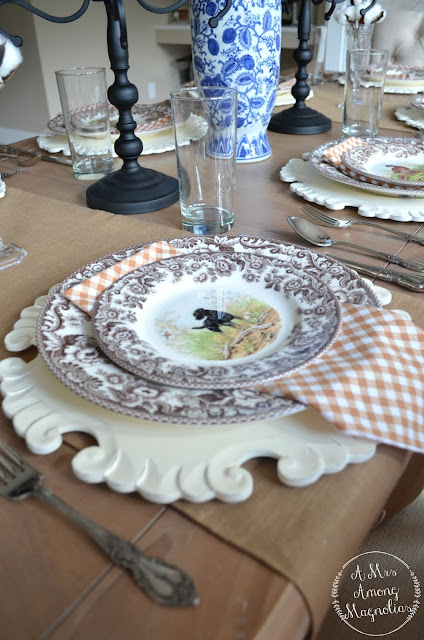 You can never have too many salad plates, right? Our guest room is finally done, just in time for the holidays. The buffalo check valance was a major Better Homes and Gardens find from Walmart, yes Walmart!!! Blue and White Wednesdays have been my favorite addition this month! 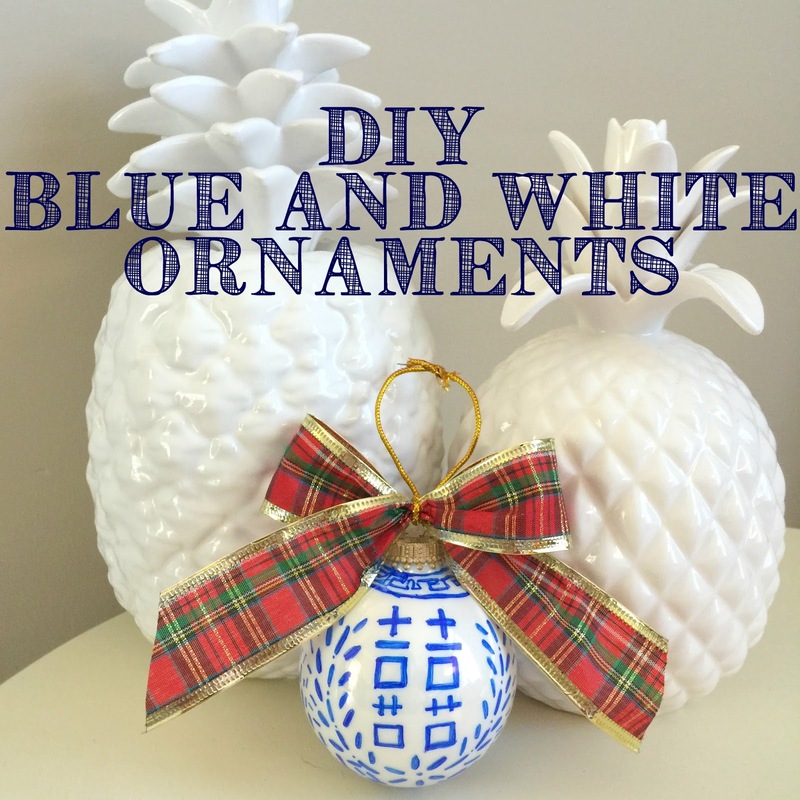 I hope that y'all have enjoyed the blue and white inspiration as much as I have. 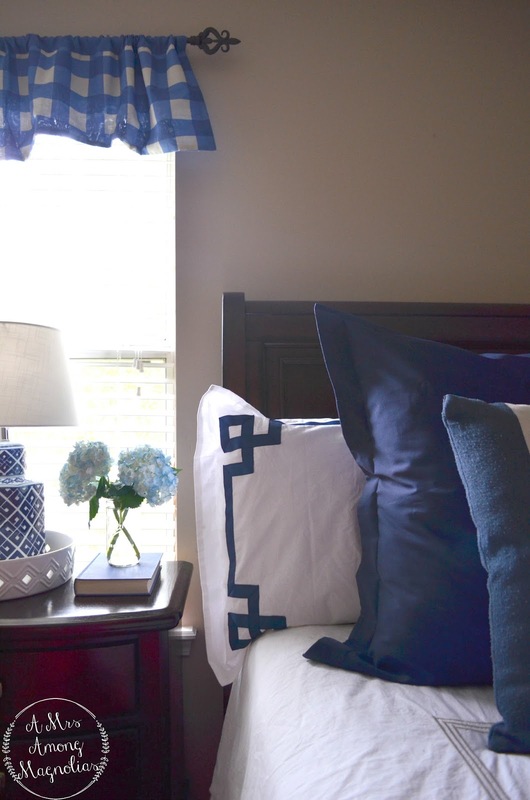 I honestly don't know what I would do if I woke up one day and didn't like blue and white anymore. Happy November! I hope that y'all had a wonderful October. Also, How are we less than 2 months from Christmas! Before I know it we will be in 2016.